We understand that your company's different. We've created a set of SEO services that can be customized to fit your business and your goals. Why isn't your site ranking higher? Knowing what’s currently happening on your site is the foundational objective of an SEO audit. Are your web assets visible and crawlable by search engines? Are they fully optimized to meet some of the major ranking factors? What’s stopping them from ranking higher? These are just some of the questions the come up during an audit. 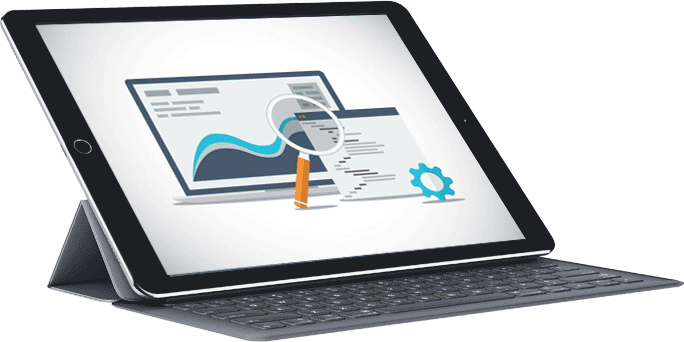 Through our diligent audit process, we’ll uncover all the different layers of your website and provide and in-depth “current state” analysis as well as a “future state” of recommendations. Knowing what your competitors are doing to drive traffic is the best blueprint to finding a competitive edge and outranking them. We’ll reverse-engineer their entire content lifecycle and backlink profile to provide actionable intelligence needed to surpass their rankings. Ensuring you’re page is visible on top search engines for targeted keywords is just one piece of the equation. Targeting the right keywords that drive sales, leads, and conversions requires a full research strategy to understand and fulfill the intent of your customer. Our keyword attainment matrix will discover keywords you’re currently ranking for, how to optimize those current keywords, and future keywords worth attaining. No one likes paying for services they don't need. That's why we'll schedule a FREE consultation to figure the exact needs for your business. Words are the lifeblood of your campaign. The right message communicated to the right audience based on their search intent is the recipe for conversion. Leverage our top SEO experts to strategically outline your entire SEO campaign. Just imagine getting more sales, more leads, more conversions - how would you feel? Our managed SEO solutions handle every aspect of your SEO initiatives. From a complete SEO audit to creating value-rich content worthy enough to acquire backlinks - we cover all our SEO services and provide bi-weekly updates and status reports. Our managed solutions is the only service to provide our First Page Promise.